Pebble’s smartwatch, which made a name for itself after becoming one of the most successful Kickstarter projects of all time, has certainly started something significant in the digital world. Its introduction and apparent popularity has since prompted other companies, like Samsung with the Galaxy Gear, to try their own hand at building and releasing a smartwatch, but like the very few owners of the Gear, Pebble users have found it rather difficult to keep their wrist-worn gizmo fresh with content. 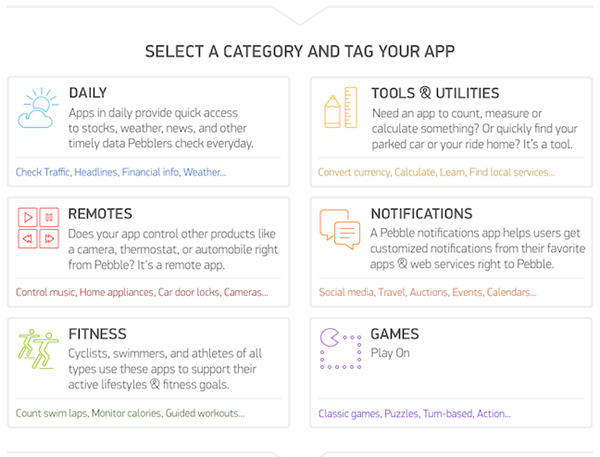 Sure, it’s out there, but not in much of an organized manner, and as such, it looks like a proper, concise app store – or appstore as they’re calling it – will be hitting the scene for Pebble owners in the near future. When smartphones first came about, it wasn’t particularly easy for users to find and consume apps, but now, the likes of the Windows Phone Store, App Store and Google Play make it very easy for owners of devices on those respective platforms to source and grab the content they need. With the honeymoon period of Pebble’s release now well and truly over, the time has come for things to get a little more serious. 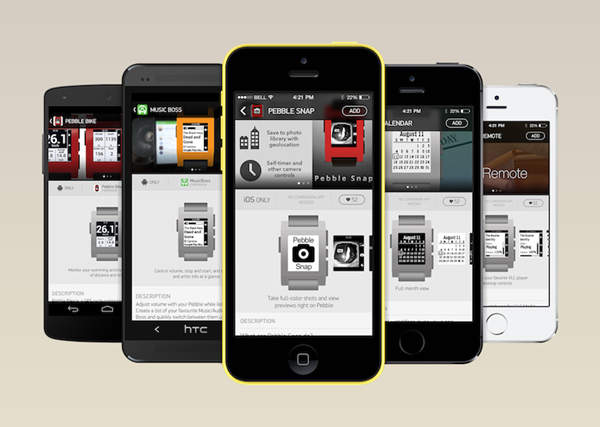 There’s no doubting that the Pebble team has worked hard in establishing the product, including recent support for iOS 7 Notification Center integration and the latest Pebble smartwatch OS 1.14.1 release. But with Apple reportedly preparing its own iWatch device for release at some point in future and Google almost certain to join in too, those behind the start-up will need to pull out all of the stops if it is to remain relevant once the giants of the tech scene get involved. The Pebble appstore will be a key determinant in the continued success or eventual downfall of the device and the brand, and it would seem that the new implementation will arrive as part of the official Pebble app. There will be a bunch of categories, including Remotes, Games, Notifications, Tools & Utilities, and Daily, and hopefully, it will quickly be packed to the gills with useful entries. Unlike its namesake, the iOS App Store, it won’t prevent you from sourcing your apps, watchfaces, and other such content through other mediums – you can still use your favored third-party store for certain apps if you so prefer.